Inspired by nature and Brutalist Architectural Movement of the 1950’s, Troy Simmons abides by the rule that opposites attract. 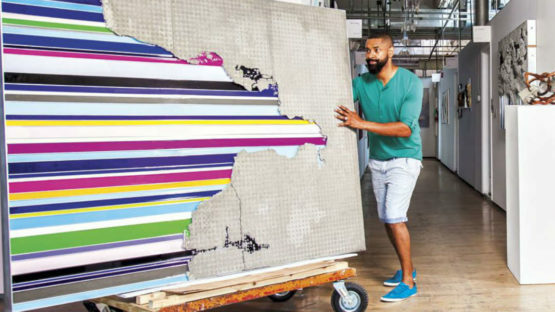 Exploring the evolution of both nature and urbanism, he creates massive and large canvases with the mix of raw concrete, aluminum, and acrylic paint. In a playful connection of hard and soft, Simmons’ works are often compared to the Arte Povera movement which uses and repurposes common materials integrating them to the art piece. The elements he exploits allow him to physically explore the ideological perceptions of incompatible binary relationships. Simmons was born in Texas in 1975. Growing up in the urban neighborhood of Huston he enjoyed to escape and explore the piney woods of East Texas. That is why he developed the affection for architecture and nature at the same time and later gained the education in Environmental Science and Architecture. 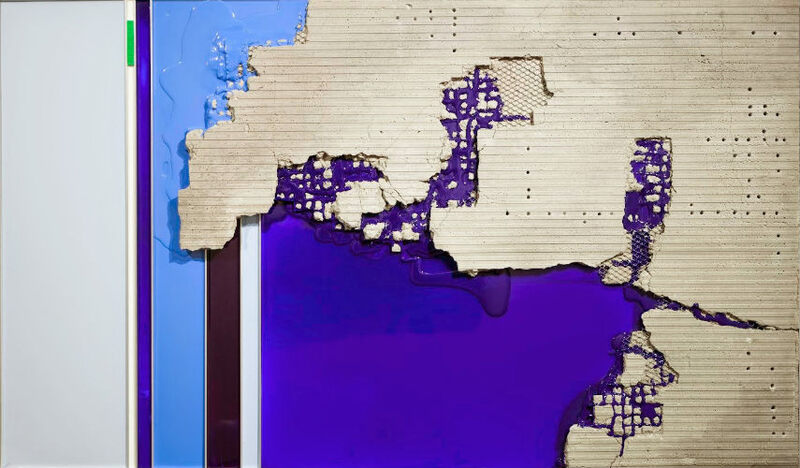 His work has been exhibited in several solo and numerous group exhibitions, mainly in the United States. One of his series was inspired by his trip to Germany where he was fascinated by the architecture of Rainer Disse’s Feldberg Church in Baden-Wurttemberg on the south of the country. Simmons successfully implemented the fragments of German traditional heritage into the simple geometric construction of modern age. Most of his pieces weight over 100 pounds. Finding his inspiration in the nature that manages to survive despite the negligence of the man, Simmons strives to run the viewers’ imagination in his unique visual translation of incompatible relationships. In the one moment of his creation, he was influenced by devastating Guatemala City Sinkhole disasters of 2007 and 2010 which encouraged him to question transience of human life. These extraordinary mixed media works show both the wake of disaster and people’s struggle for surviving. Troy Simmons, as a strong believer in discovery through creation, describes his work as the aspiration to present the unbreakable and important relationship between nature and man. Using concrete, color fields, and organic forms, he reveals the possibility of coexistence of different and opposite entities. The juxtaposition and collision of these elements expose the beauty and deep emotion of unusual connection. 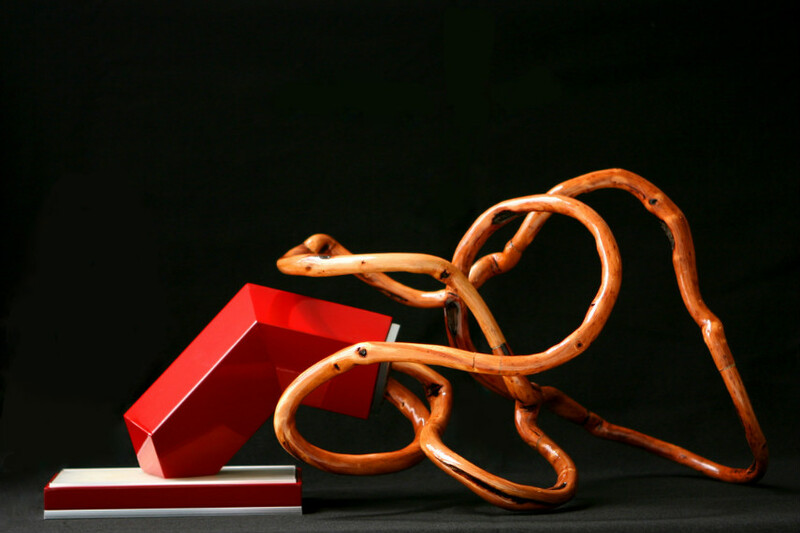 Through his work, Simmons also explores social behavior and prosperity, considering personal experience. 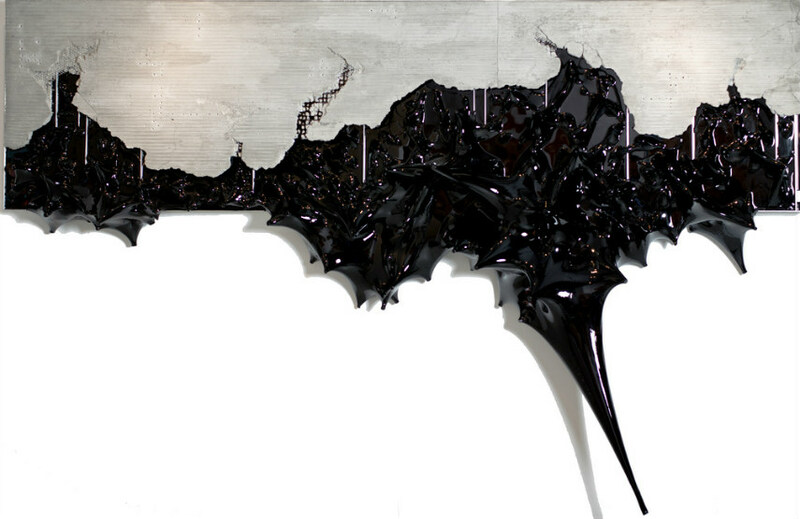 The artist is represented by JanKossen Contemporary Art, New York/Basel, Switzerland. Troy Simmons currently lives in Miami.